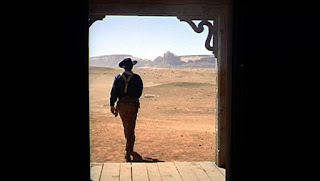 Monument Valley was featured in two of John Wayne movies, “Stagecoach and The Searchers. Let me just say up front that John Wayne was my hero as a child. I loved him and watched all the movies that came on our TV. Now I have so many of his movies on DVD. When I think of westerns, usually the first picture that comes in my mind is Monument Valley. So when we realized we were going to the Southwest, the first place we wanted to see was of course Monument Valley. We had high expectations, but wow, our expectations were blown out of the water! I want to share our experience there, since it was so special. I was surprised to find out it is not a National Park. It is in the Navajo nation and they are caretakers of the area. It is located on the Arizona/Utah state lines. It’s a scenic drive approximately 150 miles northeast of Grand Canyon. There is an entrance fee to get inside the park. ($20 per car.) This enables you to drive around the park if you wish. Now this is where I read other reviews to make sure our car was up to the task of driving around red dirt, pot filled roads. I decided that no, I wasn’t taking a chance. After all we still had three days left of our vacation and I didn’t want to spend those days repairing our car just so we could return home. Now, if you have a 4/4 SUV or a pickup you should be fine. We went with a guided Navajo 4/4 tour. There are a few of them to choose from. We went with Sandstone tours. It is pricey, but believe me it was worth every penny. We took the Sunrise tour which was about 3 1/2 hours. Our guide took us to a place where we could see the sun rise over the plain; it was amazing! We stopped at a few arches, drove through sand dunes, visited an indian hogan, and saw petroglyphs. We stopped at numerous places along the way to take pictures. A few vivid memories: The full moon perched above the buttes. A fox darting alongside our truck. Red rocks glowing in the sunrise. Gazing over John Ford’s point. The absolute stillness and remoteness deep within the valley. I’ll be pondering these memories this winter when I’m freezing to death. Believe me, I’ll never forget it. Now on a more practical note...we stayed at The View Hotel there at the park. Again it is pricey for a hotel. But they don’t call it The View for nothing. Each room has a balcony that overlooks the valley. We sat on ours and watched the sunset. It was quite lovely. The room was very nice. The people are friendly and helpful. Be forewarned though, there is only one restaurant on the grounds. They don’t have a deli to speak of. We wanted to grab a snack and only $5 chicken salad sandwiches was available to choose from. For dinner, the restaurant was okay. We regretted not bringing our own food. There is a campground and cabins there. The cabins looked very nice. South at Kayenta there were a couple of hotels if you choose not to stay here. Also west is Goulding’s trading post which has a lodge. There is a gift shop which was nice, but I was disappointed to see some “made in China” type items. If you want to buy authentic items, the native indians do set up tables/booths here and there along the way. To sum up our experience, I would say the tour was amazing and we would do it again in a heartbeat! But we weren’t cracked up about the hotel. It just wasn’t worth the money we paid. If you come out west, you must take a tour. You will not regret it! Next time I watch a John Wayne movie I will certainly look at it in a new light.